Hotel Meenakshi is the ideal combination for pocket-friendly and classic experience with its creative and royal outlook. The decorated ceiling with grand chandelier and royal wall finishing welcome you to the hotel. The spacious rooms with modern furnishing and a combination of unique color in the room make the place charming and fun to stay. The cushioned headboards are a delightful addition to space. 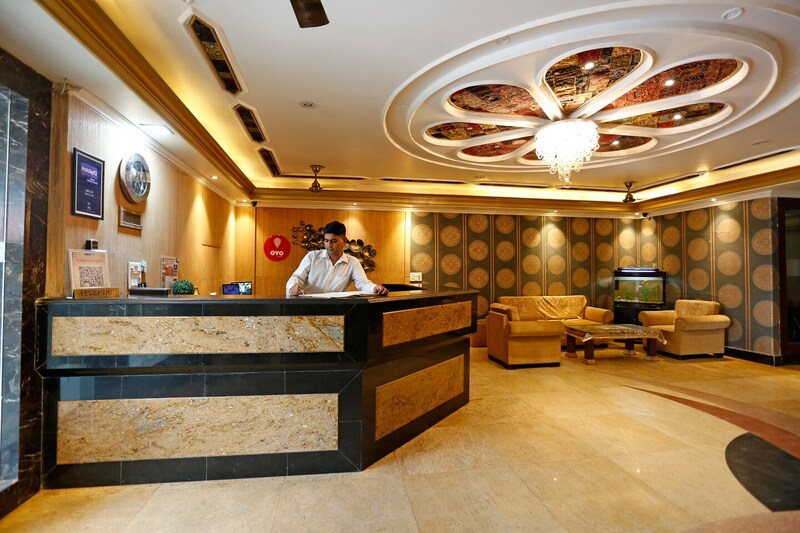 The guests can avail the facilities of free Wi-Fi, card payment option, CCTV cameras and power backup. The guest can indulge in local cuisines from various restaurants around the place. Raj Mandir Cinema, Birla Auditorium, and Central Park are among the few tourist attractions near the place.